It was fascinating to watch this praying mantis attempting to catch a wasp. I was amazed at how quickly it pounced. Unfortunately for him, he wasn't able to catch a wasp for lunch. Magnificent capture and detail, fav! Awesome capture and great details. Excellent detail, they are fascinating creatures aren't they. Wonderful detail in this great closeup. Wow ...Impressive close-up of this wonderful mantis! 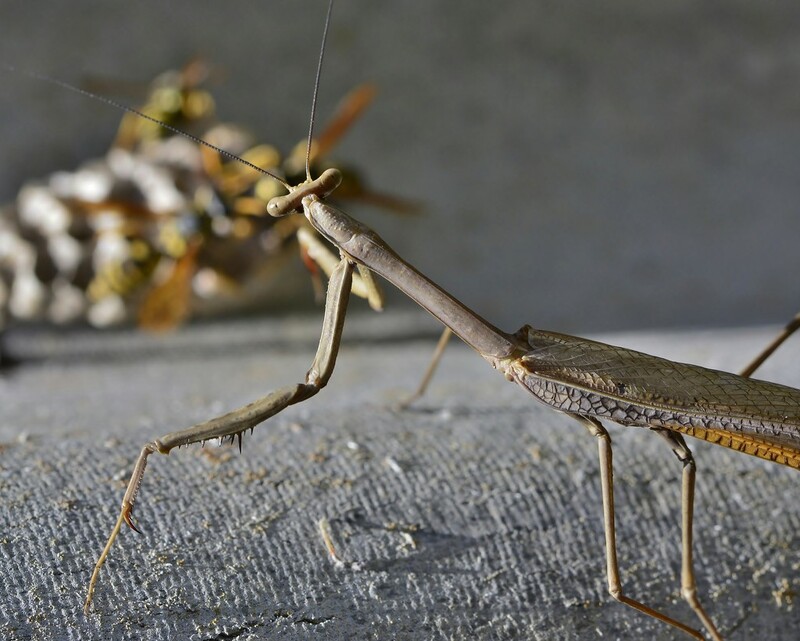 Fabulous shot of this preying mantis.